Obama recently expressed regret for US support of Argentina’s “dirty war.” It’s time Washington did the same regarding our active backing of right-wing butchery in El Salvador. Over the ages, the United States has routinely intervened in Latin America, overthrowing left-wing governments and propping up right-wing dictators. President Obama pressed a reset button of sorts last month when he traveled to Cuba and Argentina. Now it’s time for him to visit a Latin America country that is geographically smallest but where Washington’s footprint is large and the stain of intervention perhaps greatest—El Salvador. In Argentina, on the 40th anniversary of a military coup that ushered in that country’s “dirty war,” President Obama said it was time for the United States to reflect on its policies during those “dark days.” In the name of fighting communism, the Argentine government hunted down, tortured, and killed suspected leftists—sometimes throwing their bodies out of helicopters into the sea. “We’ve been slow to speak out for human rights and that was the case here,” Obama said. That failure to speak out looks benign in contrast to the active role Washington played in the “dirty war” in El Salvador in the 1980s, which pitted a right-wing government against Marxist guerrillas. The United States sent military advisers to help the Salvadoran military fight its dirty war, as well as hundreds of millions of dollars in economic and military aid. In Argentina, the security forces killed some 30,000 civilians. In El Salvador, more than 75,000 lost their lives during the civil war, which lasted from 1980 until the 1992 peace agreement. The guerrillas committed atrocities, but the United Nations Truth Commission, established as part of the accord, found that more than 85 percent of the killings, kidnappings, and torture had been the work of government forces, which included paramilitaries, death squads, and army units trained by the United States. The Reagan administration often sought to cover up the brutality, to protect perpetrators of even the most heinous crimes. The administration knew the Salvadoran military murdered four US churchwomen in 1980—but denied the evidence. In Argentina, President Obama praised two American diplomats, Tex Harris and Patt Derian, for their commitment to documenting the human-rights abuses in Argentina. Two American diplomats in El Salvador deserve similar presidential recognition. Ambassador White, a career diplomat, lost his job and was forced out of the foreign service by Secretary of State Alexander Haig when he refused to participate in a cover-up of the Salvadoran military’s involvement in the murder of the American churchwomen. Haig told a congressional committee that the women may have been trying to run a roadblock when they were killed (Haig died in 2010; White died in 2015). At considerable risk to his career and his life, a junior diplomat in the US embassy, H. Carl Gettinger, wasn’t deterred by the chicanery in Washington and carried out his own investigation. It was Gettinger who had learned from the Salvadoran military informant about D’Aubuisson’s role in the assassination of Archbishop Romero, and he turned to the man, an army lieutenant, to help him solve the churchwomen’s case. The lieutenant, who had so much blood on his own hands during the dirty war that Gettinger dubbed him “Killer,” gave Gettinger, and the United States, the name of the sergeant who led the operation and that of four other soldiers who had participated, a crime that senior Salvadoran military commanders had successfully covered up until then (the men were convicted in 1984). “Carl is an unsung hero,” Carol Doerflein, who was the assistant public affairs officer in the US embassy in El Salvador at the time, told me recently. 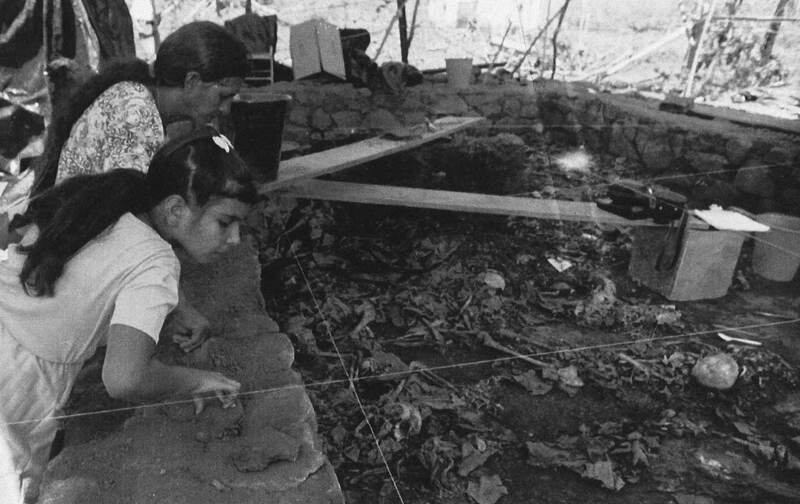 One year after the churchwomen were murdered, one of the worst massacres in modern Latin American history occurred when soldiers from the US-trained Atlacatl Battalion carried out an operation in the mountainous region of northeastern El Salvador. Altogether more than 700 men, women, and children were killed in El Mozote and surrounding villages. In 2012, on the 20th anniversary of the civil war’s end, El Salvador’s president, Mauricio Funes, went to El Mozote to apologize. “For this massacre, for the abhorrent violations of human rights and the abuses perpetrated in the name of the Salvadoran state, I ask forgiveness of the families of the victims,” he said, wiping away tears. He laid flowers on the monument that had been erected. In Argentina, Obama tossed white roses into the water at a memorial to the victims of that country’s dirty war. No US official, not even a mid-level one, has ever visited the monument at El Mozote or apologized or expressed regrets about that massacre or, more broadly, for Washington’s active role in funding and encouraging El Salvador’s dirty war. Raymond BonnerRaymond Bonner, a former New York Times correspondent who covered Central America from 1980 to 1982, is the author of Weakness and Deceit: America and El Salvador's Dirty War, which is being reissued by OR Books this month.